Aloha is in the heart of the action in the suburb known colloquially as ‘Surfers’ – the centre of activity for nightlife, restaurants and shopping. 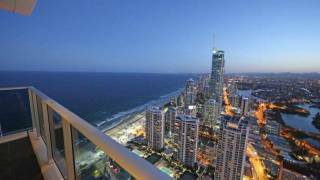 Surfers Paradise is one of Australia’s iconic coastal attractions and famous for entertainment and tourist attractions. 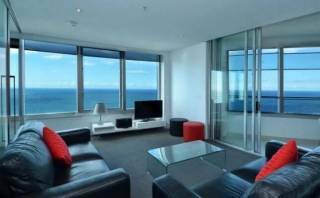 Aloha Apartments offer affordable accommodation in a great central Surfers Paradise location. 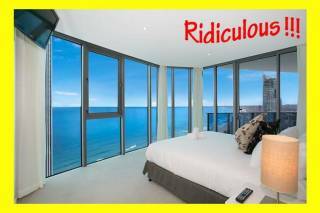 This high-rise resort is opposite the world famous surf-patrolled Surfers Paradise beach and a short walk to Cavill Mall shopping, dining and attractions. Aloha offers comfortable fully self-contained one and two bedroom apartments with private balconies, fully equipped kitchens and laundry. Recreational facilities onsite include an outdoor swimming pool, spa, sauna, half tennis court, BBQ, children’s play area and more. Take advantage of the independently owned and operated onsite Montezuma's Mexican restaurant. Close to all the action of Surfers Paradise, there is something for everyone where you can do as much or as little as you like. If the credit card is declined, we will email to let you know. If the booking is cancelled or modified up to 3 days before date of arrival, no fee will be charged. If the booking is cancelled or modified later or in case of no-show, the total price of the reservation will be charged. Staying at Aloha Apartments you’ll be perfectly placed to experience the best of Surfers Paradise and the greater Gold Coast. Our location on Trickett Street in Surfers Paradise is just a 1minute walk to the beach, 5 minute walk to Cavill Ave, and 5 minute walk to the Skypoint Observation Deck. Surfers Paradise boasts over 500 restaurants and shops with dining and shopping opportunities to suit every taste and budget. It is also known for great nightlife, and home to plenty of attractions that will keep the whole family entertained. A short drive from Aloha Apartmentsand you can visit the theme parks that the Gold Coast is famous for, including Sea World, Wet’n’Wild, Movie World, Dreamworld, Currumbin Wildlife and the Australian Outback Spectacular. Location: 8-12 Trickett Street, Surfers Paradise.